New apartments, a riverside café and public realm enhancement. This constrained industrial brownfield site in Bath is sandwiched between the Upper Bristol Road to the north and the river Avon to the south. Sitting within a conservation area, world heritage setting, with sensitive ecology and an adjoining the Grade II listed Victoria bridge, this site presented a number of tricky planning challenges to unlock its potential. Our collaborative approach led to an imaginative design solution that will serve as a catalyst for the future regeneration of the Northern river frontage. Situated on the Northern bank of the river, Onega Place offered an opportunity to set the bench mark for regeneration opposite the advanced high-rise buildings emerging on the western riverside development. Leading with a collaborative approach, we set up a programme of pre-app workshops with the council aimed at bringing them on board with a bold development vision for the site. Our proposed solution was to demolish the low rise, inward looking modern industrial sheds and replace these with high rise, high density residential units to provide enhance public realm and pedestrian permeability to the river edge. The council’s strategic planning guidance for the site had shown an aspiration for nearly two thirds of the site to be dedicated to green space to open-up the river frontage. This guidance had the potential of severely limiting the sites’ development potential. Our design response took on board the councils’ vision to form an activity node by the river. Rather than just doing this by opening up the site, we focused on a more intelligently designed public realm solution. 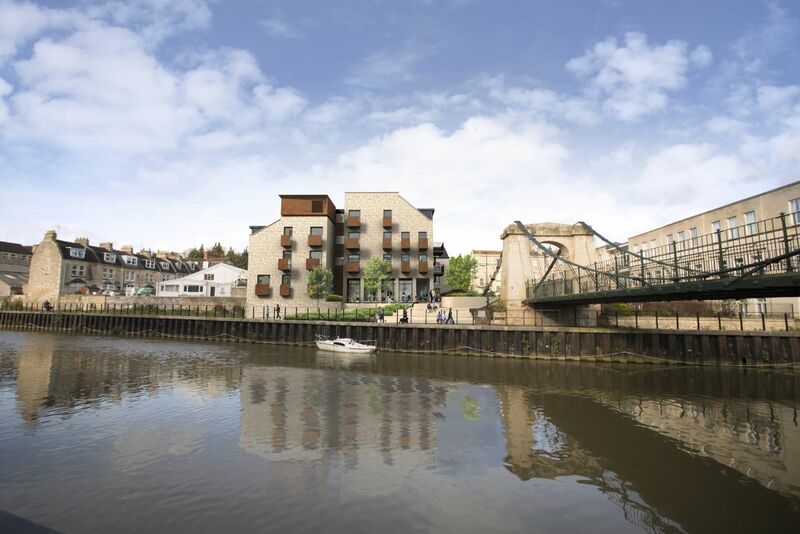 It engaged with the river frontage, formed better linkage to the Upper Bristol Road and also connected with the public realm of the Grade II listed Victoria bridge. The designs enabled us to gain the council’s confidence and promote the client’s development goal for a higher density residential solution which was ultimately achieved via a delegated decision with the appointed case officer. Our focus on collaboration de-risked the planning outcome for the client while significantly raising the site’s gross development value.